On the eve of the 2012 Olympics, this compelling documentary throws a spotlight on some of the young British sporting heroes hoping to compete there. Exploring the intense and prestigious art of sprinting, the film follows a number of the UK’s up-and-coming athletes as they train and race, as well as share their experiences of an activity that pushes them beyond their physical and mental limits. The sprinters’ stories are fascinating and inspirational, detailing the agony and ecstasy of their sport, alongside more personal recollections about their lives. From Richard Alleyne, who recently fought injury, to James Ellington, who even put himself on eBay to raise sponsorship, these are characters determined to give everything to achieve their dreams. 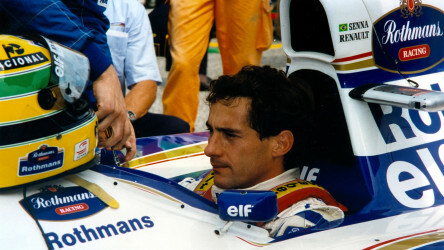 Thrilling, adrenaline-fuelled doc charting the professional life of the late and legendary Formula One driver, Ayrton Senna. Celebrate girl power with this uplifting British sports drama that taps into the excitement surrounding the 2012 London Olympics. 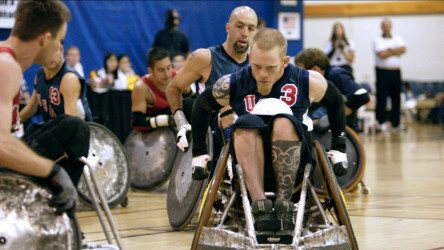 Canada-set sports documentary that challenges preconceptions about disability. 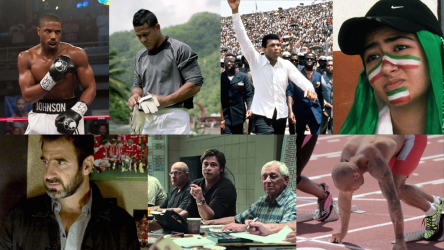 With the Olympic and Paralympic Games kicking off in Rio, our expert film programmers bring you a selection of their favourite sporting films. A podcast for film club leaders. Film programmers Joe and Elinor discuss how film can be good for engaging with sports and sports stories. A selection of titles looking at the relationship between sport and film, taking in community, politics, teamwork and personal attainment.